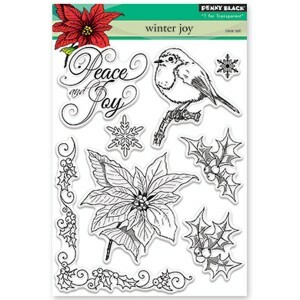 Winter Joy stamp set by Penny Black. 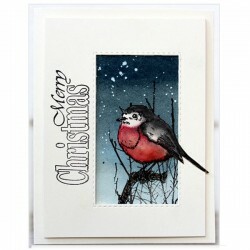 This set includes 8 Winter or Christmas elements. 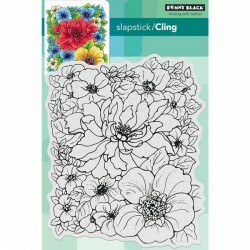 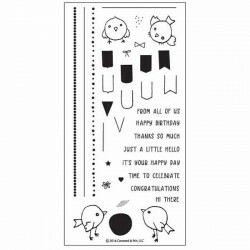 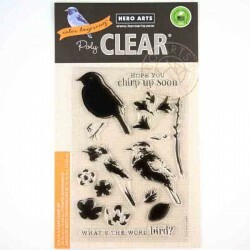 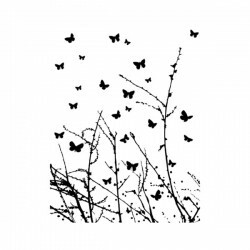 Mounted on a 5″ x 7″ acetate, these clear stamps give a beautiful impression and fine detail. Enjoy the winter bird and poinsettia, along with snowflakes and a charming sentiment.